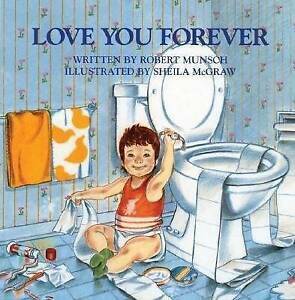 Details about Love You Forever by Robert Munsch, Paperback Book, New, FREE & Fast Delivery! 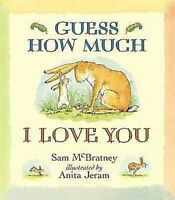 Love You Forever by Robert Munsch, Paperback Book, New, FREE & Fast Delivery! Description The story of a mother's love for her son and how it never changes however old he is. Author Biography Robert Munsch is the author of more than 25 books for children including The Paper Bag Princess and Stephanie's Ponytail. He lives in Guelph, Ontario. Sheila McGraw has illustrated six children's books, including the best-selling I Promise I'll Find You and has written children's and adult craft books Papier Mache for Kids and Painting and Decorating Furniture. Immediate payment of £4.13 is required. Had to buy this after seeing online as I’m a friends fan and had to know why it was so emotional ! Beautiful book , enjoyed with my six year old daughter and as much as she enjoyed the story , they is a beautiful meaning behind it that all parents can all relate too . Emotional ending ! I love reading this book to my son. Beautiful story.